Today’s offering for the table is an earlier missive on Mercury originally written September 11 2002 and published on my astral visions website. Feast, nibble or ignore as your taste suits. When I started school I was a loner. I spent days and weeks on end, it seems, in a universe of my own. I was unsatisfied with the games children played, and even more unsatisfied with the games that adults played – often not even knowing they were playing games with one another. I didn’t know it then, but being a Scorpio, with Capricorn rising, and with Mercury in Scorpio too, I was born a serious thinker, what my mother would call ‘an old head on young shoulders’. Quite how serious a thinker I was not even I knew, but I was about to discover just that. When I was 7 years old, during the lunch hour as I wandered around the playground at Stanhope Primary School, I had what I can only describe now as an epiphany that fundamentally altered me. This was, and still is, something impossible to put into words; it was a wordless comprehension of things that seemed to cover my entire body, a vision of something greater than what was commonly perceived going on, going on, right under everyone’s noses. It left me massively transformed and was a major event in my life, yet it went unnoticed by everyone around me except my Mother, who asked me when I came home from school that day what was wrong. I was even more silent and broody than usual, but she eventually let it go as a passing mood. In coming to write this piece on Mercury, I am reminded of this part of my life for 2 reasons – it is something totally beyond the ability of mere words to convey, because it occurred outside of language; and secondly because, in true Mercurial tradition, I am now going to spend the rest of this article trying to use language to do just that. So let’s start. Here is one minds view of its own predicament. In talking about Mercury, we are dealing with the mind. It is, specifically, our everyday waking consciousness, the thoughts and ideas we dwell upon, and thus, our perception. This is the first key in understanding the astrological teachings of Mercury – the link between mind and perception. They are one. The selfish mind perceives selfishness at work everywhere in the world, the purely loving one, only love. Furthermore, since our perception is what gives rise to our unique experience of the universe, our perception, to an extent, determines our experience of reality. Now, even a brief reflection on the mind will reveal that it is capable of change. We can, in fact, choose to change our mind on anything, at any time; and this gives us the ability and the free will to determine our perception and thus our experience of reality. On the simplest level, we can choose, or not choose, to get in the car or go for a walk; on a more subtle level, we choose our own story by perceiving our experiences in a certain way (and form our astral body from those same selected perceptions). The mind, then, is reflective, bright, shiny, and prismatic in all of us. It is a mirror held up to the infinite universe that reflects our own mental self back at us, from all directions at once, a ‘house with many mansions’. It has no shape, colour, weight or texture other than what we give it, for it changes its shape to fit whatever it addresses. It gives rise to thought but it is not thought – instead, it is like the photon behind the light of our thought, which we cannot ordinarily perceive, yet can know is there. Knowledge is another function of Mercury, specifically, the acquisition of knowledge through study, experimentation, comparative analysis, deduction, logic and rationality. The mind literally feeds on the energy of ideas, and there is no limit to what a single mind can potentially know. Yet, there is another kind of knowledge, more properly called a knowing, that is far deeper, and lies behind all our searches for greater knowledge. This knowing arises from an objective perception of the Universe, and is the clear light of mind, the true energy of Mercury. Knowing comes from deep inside of us, it’s the feeling we get about our own intrinsic existence – we know we exist, it is deeper than knowledge. In fact, it is only at the level of knowing, that pure truth can be communicated to us. One of the mysteries of Mercury is that of duality. It is astrologically the ruler of dual signs – Gemini and Virgo, and the duality of Mercury is further expressed in Gemini, the Twins. Its more analytical, rational, deductive side is expressed through Virgo. Duality gives rise to polarized forces, which, through their interaction with one another, produce variety and multiply the possibilities. When two mirrors are placed face to face and an object like a vase of flowers placed between them, the dual positioning of the mirrors produces infinite reflections of the flowers; in the same way, our mind, which reflects our thoughts, perceives infinite reflections of itself and its thoughts in everything. In duality, it appears that things exist in separate relationships to one another, like the two reflections in both mirrors, but in truth, there is only one vase of flowers being reflected in both mirrors. Hard as it may seem for us to grasp from within an experience of duality, we are not separate from anything that we experience in this life. We are connected to everything because all is energy, and energy is always transferable from one source to another. Our mind is a transceiver of energy; it draws ideas and thoughts of like quality to its own energy, and then re-transmits those ideas and thoughts into the physical world through conventions like language, art, and activity – the magic of materialization, the Tetrapolar magnet. This makes our mind a tremendously powerful thing, and there’s no ‘off’ switch, so it pays to be aware of what ideas we are attracting to our mind. It may be hard for some people to accept that ideas exist on a plane of mental energy and that human minds are transceivers of these ideas, but I ask those people, before radio was invented, were there no airwaves? No radio emissions from outer space? We have the means to detect pure mental energies, but this requires development of our senses. Keeping an open mind is more important to human health than many people realize. A closed mind is a stagnant mind, particularly in an infinite universe. Mercurial consciousness is markedly curious and keen to discover, and it can keep us youthful and fresh as a summer breeze. Its energy is essentially refreshing and mentally clarifying, like being given the last piece of a puzzle that has been involving you. Comprehension dawns, we discover how to walk and talk, and relate to other people, we thirst for information, travelling and communication when Mercury is alive in us, we want to know how, why, when, where, what, who, whif?! This is the mental space Gemini type people inhabit most of the time, and the curiosity rarely settles in one place, like a butterfly in a summer field, it flutters from one colour and smell to another, irresistibly. This is the nature of Gemini and Mercury, too. Yet without the ability for sustained concentration or focus, the mind is unable to manifest anything with substance or depth. This brings us to a consideration of Mercury and the 4 elements, because we need a balance of the elements in the Mental Body as much as we need a balance of elements in the Astral Body. I’d like to look at the most dense and solid of elements first (Earth) and move on to Water, Air and Fire from there, before getting into a short final discussion. All minds have the capacity for organized and structured thinking, but those people born when Mercury is in Taurus, Virgo or Capricorn are most attuned to this kind of mental behaviour. Their minds are focused on practical and common knowledge, on planning, cataloguing, analyzing, storing, designing and building ideas and information into solid, practical clear structures. The perception is concerned with material matters, such as poverty and wealth, status and property, evidence, common sense, and the way things work. Earth is solid and heavy, and so the mental body attracts serious, heavy, and dense thought structures to itself, which must in turn go through the proper channels of processing. It does not lay down new pathways easily and is resistant to changing the old ones. It is more attuned to the physical body than any other type of mentation, and is thus sensual, tactile, and receives greater stimulus from touch. This kind of mentation is not possible for Water signs, since those born when the Sun is in Cancer, Scorpio, or Pisces cannot have Mercury in an Earth sign – thus, the weakness of the Earth mentation is usually its lack of emotional sensitivity, empathy or sympathy – an inability to feel what is buried beneath our words and thoughts. This mentation prefers to consider things thoroughly, digesting its mental food twice, like a sacred cow that chews and chews and chews the cud, before swallowing. It learns methodically and absorbs new information slowly, trying to fit perceptions into established structures of thinking. Mercury has much to do with structure, especially structures of information. In fact, it can be thought of as a matrix rather than a planet, because it represents thought patterns. For example, imagine that 2 people study the same subject – let’s say astrology. The first, who has Mercury in Scorpio, will seek to penetrate to the heart of it, will reflect and study deeply, and essentially seek the overall meaning of it by storing the information in intuitive structures of information in the mind. Conversely, the person with Mercury in Virgo will want to uncover every detail, and will test everything it is fed analytically and precisely, paring away what is found to be impure and then organizing the facts in a methodical and logical thought structure. Mercury creates structures through comparison, communication and by relation. By comparing two ideas, it draws a line connecting them; by communicating them, it strengthens and supports them; and by relating them, one to another, it groups them into a greater whole, our own Tree of Knowledge. The Earth mentation is also persistent, resistant, and disciplined, and therefore the structures are composed of a more ‘solid’ mental energy than other types, more rooted in the practical experiences of physical existence, and often more reliable. These minds are natural builders, analyzers, and governors, but caution, stubbornness and reservation are common learning blocks. As most of you will know, androgyny is gender neutrality, sexless, a being in suspension between male and female. Mercury, and thus the mind, is also androgynous. The flow of intelligence comes in through our perceptions and goes out through our communication, but it is not a property that belongs more to the male than to the female, it is neither more nor less of either, but neutral. Like a pool of water, the mental body simply absorbs whatever it encounters, so that it becomes a part of it. It has no quality of its own, being like a colourless, odourless, tasteless vapour that receives signals from external sources and flows or adapts in response. The planet Mercury reflects this behaviour astrologically by having no influence of its own, other than that given to it by other planets (planets in aspect to it); the sign and house positioning also adding a texture to Mercury, so that Mercury simply becomes a messenger for the other planets, communicating various wavelengths of energy through the mind. This is why in mythology Mercury was an androgynous wing-footed messenger of the gods. It is this androgynous quality of mind that those of us with Mercury in Water signs have. The Water mentation is the most fluid of minds; it is both sensitive to its environment and absorbent of elements within that environment. These elements are perceived as feelings, instincts, intuitions, and empathic contact. The Water element can also be considered a polar ‘opposite’ for the Earth element in the mind because those with a Sun sign in Earth – Taurus, Virgo and Capricorn – cannot have this kind of mentation. This mentation often lacks a practical, common sense approach, or is given over to a fluid state so completely that the closest thing to structure it holds is like a wave on the surface of the ocean. Discipline, focus, stability, and common sense are the kind of qualities that strengthen this mind in most cases. This is also the mentation most vulnerable to alteration by outside frequencies. Through empathizing greatly with other minds, these people match their mental frequency to that of the object or source, and then match that frequency within their own mental body. They then feel so gutted at their best friend’s bad news that they can’t do anything to help or advise them. Detachment and meditation are sources of shielding for this mentation, because through them it learns to stay in control of its empathy. This mentation is also rich in psychic potential. It is a mind concealing deep yearnings and feelings- empathy. The foundation of a great deal of astra – mental magic lies in the matching of the magician’s astra – mental body with a focus, through the magical imagination. Thus, the transference of consciousness into an animal is accomplished through intensive imagination of what it is to be that animal, from the depth point. Empathy is of invaluable assistance in this process and thus this mind often has some degree of inborn psychic skill, though it may not be consciously explored as such – for example, a detective like mind, which excels at solving mysteries. Sometimes their daydreams take them close to or into a psychic realization of the true nature of mind (something I will say more of later). 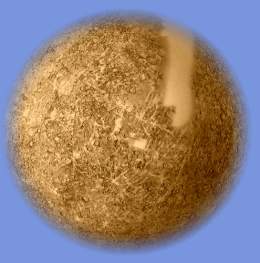 Mercury is like a nexus of light fibres that carry information. The mind is a transceiver of ideas and mental entities which draw their power, existence and being from the process of being communicated and extended from one mind to another through the physical world. An idea is only increased when it is communicated, not decreased, and herein lies the truth that sets the mind truly free from material limitations, for everything – everything – has an idea as its foundation and conception point, and therefore everything is only increased by being shared, contrary to our materialistic perceptions. Light communicates because it acts as a carrier wave for information. We see this at work with our own eyes when we watch the sunrise and see the details of the world literally painted in by the Suns rays. Our minds – represented astrologically by the planet Mercury, – are transceivers of this light, which we receive chiefly as ideas and concepts. By communicating these concepts, we increase the light, and the idea. If I tell you about something you didn’t know, I have not given you an idea and lost it myself – we both have it. Yet when ideas are embodied by our minds in material objects, we fear their loss, because the truth of this is hidden from us. 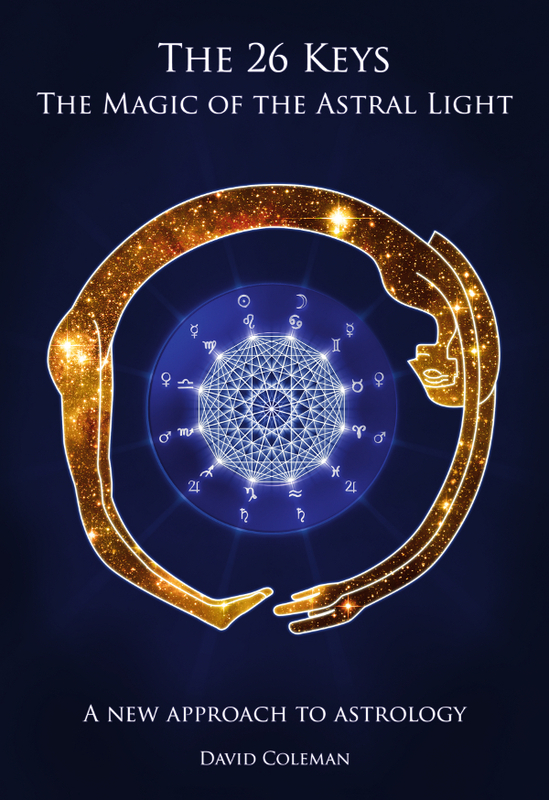 Those of us born when Mercury is in Gemini, Libra or Aquarius – the Air signs – are most familiar with the realm of thoughts, because the mentation is concerned with concepts, ideas, and possibilities. Communication and relationship are the keywords of the Air signs, with Mercury here producing mental qualities like curious, studious, communicative, learned, insightful, sociable, diplomatic, idealistic, and playful. The key factor is that the mind is keen to learn and wants to understand, often by making relationships or connections and establishing communication between ideas – Gemini by pairing them up, Libra by balancing them, and Aquarius by making quantum leaps between them. Thus the mental body is changeable, as it seeks to follow pathways between different flowers like a restless butterfly. Air mentation is not possible for anyone born under a Fire Sun sign – Aries, Leo or Sagittarius. The Air Mercury, while fascinated with ideas and concepts, and excited by communications and society, often lacks the raw energy to manifest any of its ideas in physical reality, because it does not settle in one area for long enough. The tendency for Air mentation to conclude that it knows what someone is saying before they have said it, or for missing the meaning behind ideas or their practical consequences, are also results of an imbalanced use of this mind. Essentially, a balance is accomplished by looking for the deeper meaning and significance behind ideas – that which the connections and pathways merely describe, and by applying a greater quality of energy to thought, so that we learn to create clarity in our thinking rather than confusion. All the structure and feeling and thought we put into our creations are as nothing without the light which inspires them, the impulse of creativity which initiates by establishing meaning. It is the Fire mentation which is most directly attuned to the aspirations and motivations which underlie all ideas. On the kabbalistic Tree of Life, this is also shown in the positioning of Hod (sephira of Mercury), which is situated ‘below’ and ‘before’ Tiphareth (the sephira of the Sun). Ideas do not contain meaning in and of themselves – they are expressions of meaning and what we aspire to, what motivates us in pursuing an idea, is the meaning that we invest in it. Thought is energy, and like all energy it is always transferable. The raw energy or force with which we radiate our thought energy, through communication, charismatic expression, and through a positive and optimistic perception of our life, is the substance of the Fire mentation. The Fire mind is bold, forthright, radiant, self expressive, creative, confident, hopeful, explorative, artistic, faithful, and heroic. It is also prophetic because of the attunement of the mind to the archetypes which inspire our beliefs and aspirations. People with Mercury in Fire signs – Aries, Leo and Sagittarius – are often able to prophesy without being aware that what they are saying is fated to come true, like accidental seers. The Fire mentation bounces back, it is never deterred, if it encounters defeat, it knows it must never be defeated. It never gives up on something important, because it believes in what excites and inspires it. It has the greatest raw energy because it creates a positive feedback loop through its behaviour – as it continuously radiates out whatever excites or inspires its spirit, it draws in more energy of the same quality. Then, it is motivated to put this energy into some kind of action, or direction, and as it generously shares its light, it also thereby increases its magnitude. So at the heart of the Fire mentation there are burning aspirations, creative impulses, hopes, beliefs and visions of the future which drive all the thinking processes. The Fire mentation, greatly motivated as it is by these things, can lack the detachment of intellectual discernment, the ability to consider other viewpoints and aspirations equally, and can thus become irrational, impulsive, arrogant and proud. The Fire mentation is not possible for anyone born during the Air Sun sign months – Gemini, Libra, and Aquarius. These qualities must come from elsewhere in the natal chart for someone with Mercury in a Fire sign, or the mind will have trouble with the realm of ideas and concepts, and be more inclined to the unbalanced use of the Fire mentation. For the mind with a Fire attunement, the world is perceived as a place of light, with many exciting and inspiring possibilities and opportunities. It is the most directed of the Elements and the Fire mind is also known for its directness, which can sometimes make them appear inconsiderate of more feeling types. The brightness with which a Fire mentation burns is truly at its holiest (most whole) when it shines for the sheer joy of warming others with its light. When the highest aspiration is adhered to, the Fire mentation is omnipotent. – there is only One Mind. We are in It, and It is in us. And In Everything. This is, essentially, what hit me that day in the playground. Here’s a metaphor to spice it up: imagine that the number of radio stations was infinite because the number of broadcasting frequencies was. Oh horror. Bad metaphor? Never mind, it’ll get better – now imagine that every human mind is like a radio all receiving a different broadcast from the same radio station, just using a different frequency. Each and every radio, though different and broadcasting a different sound, would be ultimately coming from the same source, just as we experience ‘minds’ where there is in truth only Mind, perceiving itself. When you stop and admire a rose freshly dripping with raindrops, the rose stops and admires you, too, admiring it. The mind appears to be separate only because of the way we think. The mind that knows this unequivocally is freed from the world, because it knows there is no past, that it dwells in eternity and has no use of perception. It therefore does not consider itself to be anywhere, because it is everywhere, and everything, forever. This is the great mystery of mind, expressed another way – that every aspect is whole, and contains all the others. We are a part of knowledge and knowledge is a part of us. I am you, and you are me, and we are one with everything. Only our perception clouds this knowing.